Canada a Champion in Polio Eradication. 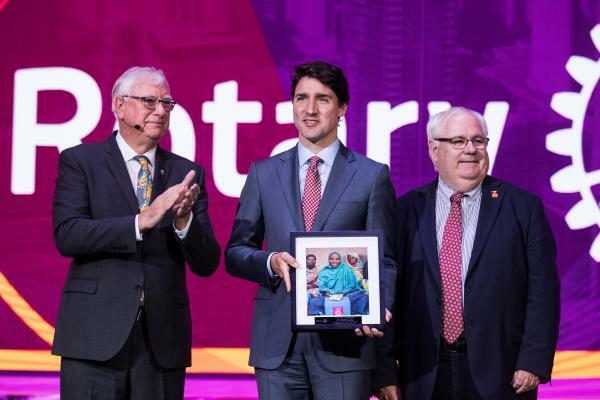 Justin Trudeau, Prime Minister of Canada, was presented with Rotary’s Polio Eradication Champion Award in recognition of Canada’s contributions to polio eradication. Trudeau accepted the award at the Rotary International Convention in Toronto from RI President Ian H.S. Riseley and International Polio Plus Committee Chairman Michael McGovern. You can watch the video of PM Trudeau's address to the RI Convention HERE.